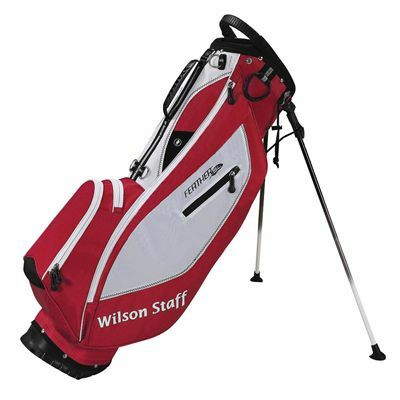 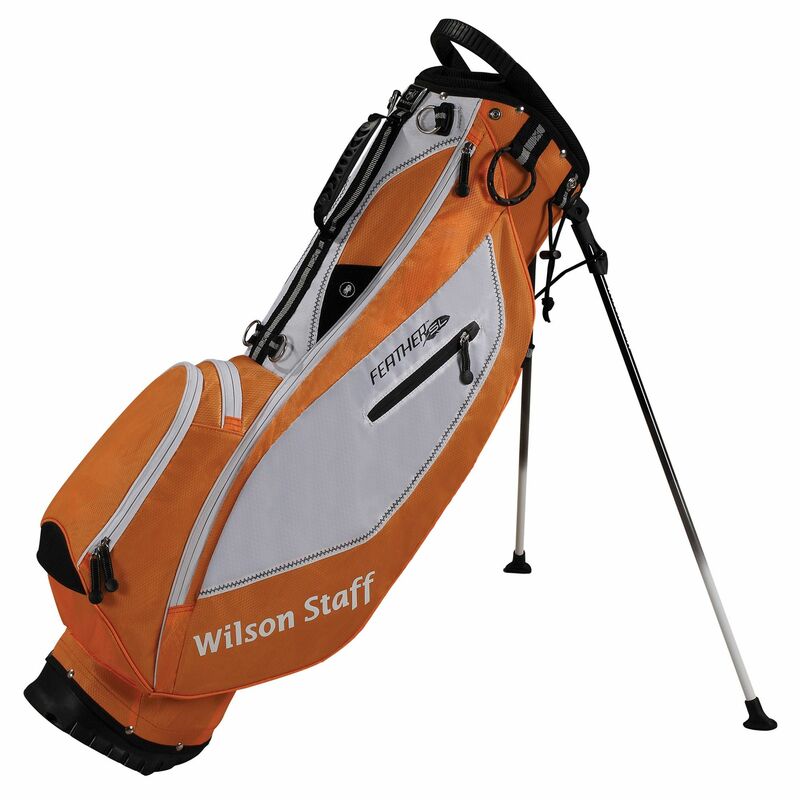 The Wilson Staff Feather SL carry bag has a 9" x 7" handle top and is perfect for the golfers who appreciate durability, functionality and comfort. It features 5 closed pockets for the accessories and valuables, as well as a New Slide In 2 One strap which converts from a double to single strap, hinged by a centre buckle. 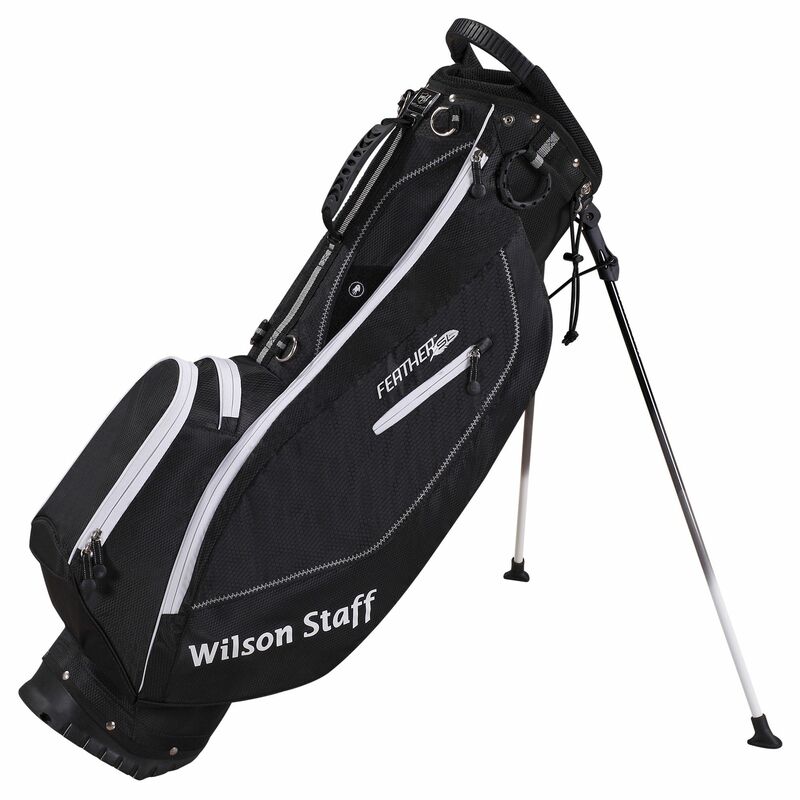 The carry bag is equipped with a range finder pocket, a beverage pouch and a rain hood for maximum comfort of using. 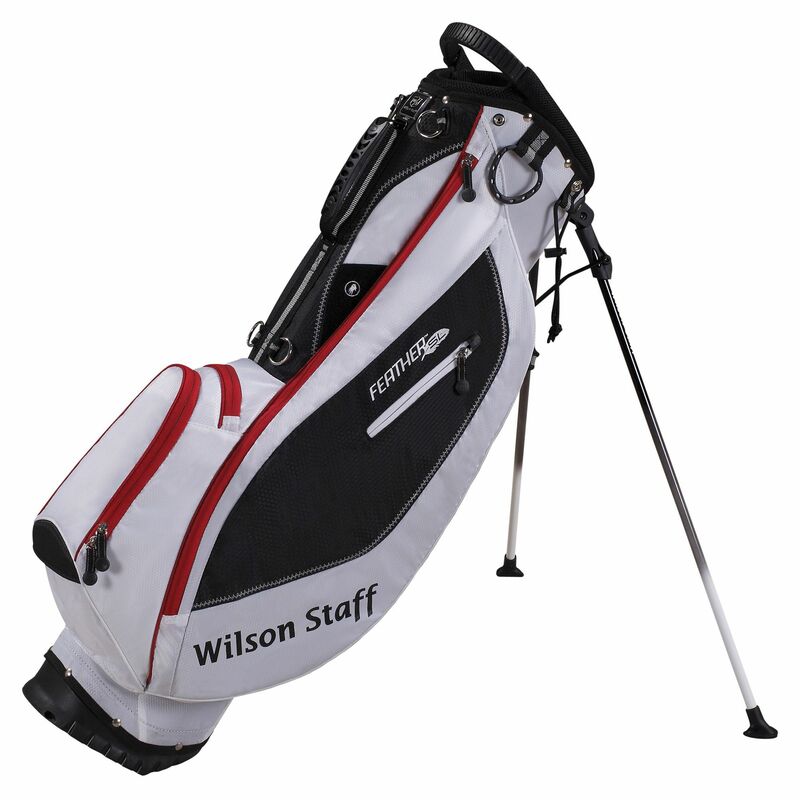 This lightweight (4.5lbs) bag also has the Rocker stand system which provides convenient standing stability and features 4 full-length dividers that enable keeping your balls and clubs organised and protected. for submitting product review about Wilson Staff Feather SL Carry Bag.